This chapel was erected in 1808 on land bought for 63 guineas and the chapel cost �3 10s. It opened on the 20th April 1809. The chapel was used by both Baptists and Independents. The building was enlarged in 1840 at a cost of �5 3s. and in 1868 the vestry was enlarged at a cost of �. In 1851 it had rented pews for 100 attenders and room for 130 others. At their morning service on Census Sunday 30 March 1851 they had 95 attenders and in the evening they had 127. They also had 20 Sunday scholars. In 1873 the chapel was renovated at a cost of �0. 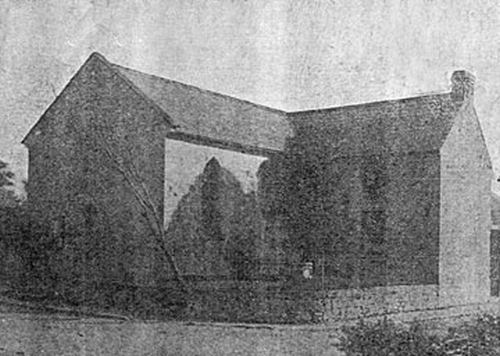 The chapel closed in 1967 and was demolished in 1973. There were gravestones still visible in the burial ground in 2017.